LinkedIn's network just got a little smaller: Russia's communications regulator ordered ISPs to block access to the business networking company on Thursday. Roskomnadzor made the order after a Moscow appeal court last week upheld an earlier ruling that LinkedIn breached Russian privacy laws. Tagansky district court ruled against LinkedIn on Aug. 4, following a complaint from the Russian federal service for the supervision of communications, information technology and mass media that its activities breached a law requiring businesses handling Russians' personal data to process that data in Russia. Roskomnadzor said it filed suit after LinkedIn failed to respond to two requests for information about its plans for relocating the data to Russia. LinkedIn isn't the only U.S. company that has been targeted under the legislation. In 2014, Roskomnadzor ordered Facebook, Twitter and Google to register as "organizers of information distribution" and host Russian users' personal information in Russia, or risk blocking. Microsoft too has been in Roskomnadzor's spotlight, but on Tuesday the regulator's director, Alexander Zharov, gave the company the all-clear for its handling of Russians' personal information. The investigation is closed, he said. 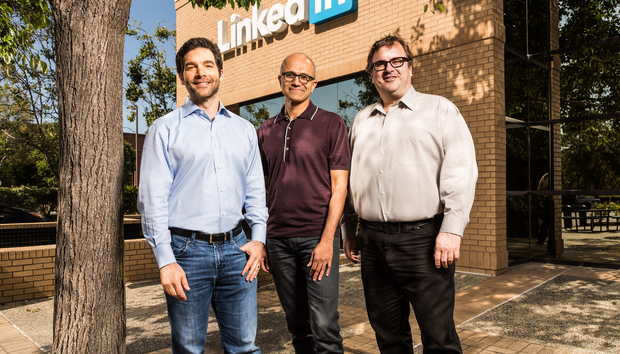 Microsoft is in the process of acquiring LinkedIn. While the Russian privacy watchdog's latest ruling is unlikely to derail that deal, the company is said to be negotiating with European Union regulators, offering unnamed concessions to counter their unpublished objections to the merger. EU Competition Commissioner Margrethe Vestager has said that she will look closely at whether Microsoft's acquisition of so much personal information will present a barrier to other companies wanting to offer similar services.